Every school should have a stocked School Emergency Earthquake Kit with supplies to keep students and faculty members safe and secure in an emergency situation. While there is no one solution that will fit on all schools, with knowledge and common-sense, your school be ready and prepared to respond and recover from an emergency or disaster. In my earlier post, I spoke about the three main components for Disaster Preparedness for Schools that is essential for success. These are; planning, supplies, and training. 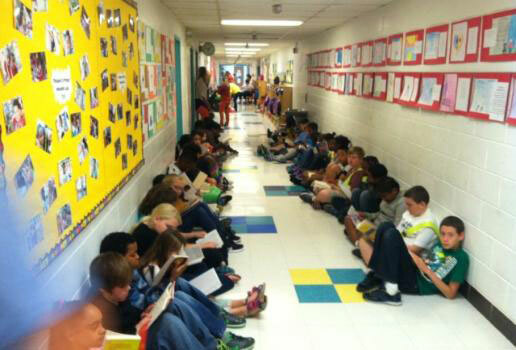 The first step is planning on how your school will respond in case of an emergency. 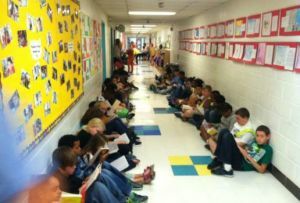 Begin with analyzing possible threats or disasters at your school like tornadoes, earthquake, intruder on site or gunfire in the area. Your school emergency kit will be based on your plan. I’ve listed below all types of emergency supplies that your school should have. Remember to have staff familiarize themselves with their emergency supplies during all earthquake drills. 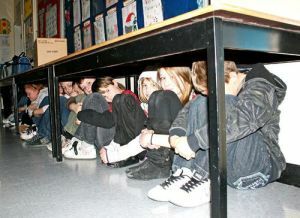 Teachers and students are confined to the classroom due to a threat from a shooter on site or a neighborhood robbery, car chase, or gunfire in the area. Lock downs can be short in duration or last for several hours and bathroom facilities are usually unavailable. Each classroom should have a Classroom Lock down Kit that includes emergency food bar, thermal blanket, emergency water, toilet bags and chemicals and first aid kit. You can get our Classroom Lock down Bucket that is complete with supplies and the bucket has a seat lid that can be used for an emergency toilet. Our Classroom Lock Down Evac-Pack is a great school disaster kit, whether you have to shelter in place or evacuate. It is an all around kit capable of supporting school evacuations, lock downs, emergencies or disasters such as earthquake, intruder on site. You will also need Emergency Restroom and Portable Toilet in your shelter. Triage Tarps. 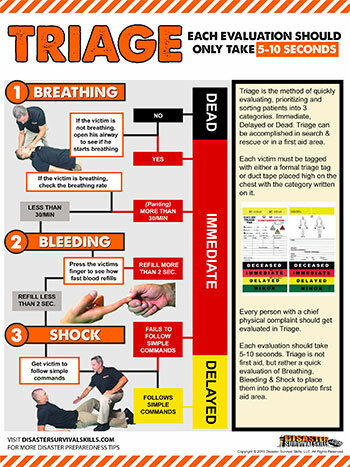 Our Triage Tarps comes in colors of Red (immediate), Yellow (delayed), Green (minor) and Black (deceased). Once these Triage Tarps are on the ground, there is no confusion as to where the Triage and Disaster First Aid area is or what category of victims go where. Triage Tags make the job of sorting and prioritizing that much faster. Tags add organization, aids tracking of patients and focuses rescuers to the job of Triage. Our triage tags come with a string attached and already tied. Simply hang around the neck of the victim. Then just tear off the perforation color coded portion of the tag for the appropriate category. Your disaster first aid kit should be able to treat real life-threatening conditions and support your staffs level of first aid training. 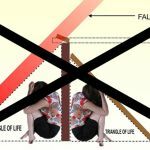 You may have heard me discuss these 3 major causes of death from disasters on one of my videos. I’ve prepared a free online training for this, that you can watch here. 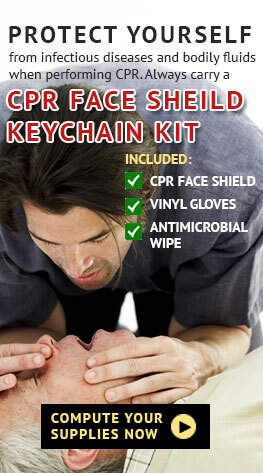 Our disaster first aid kit is designed to save lives and to perform all kinds of first aid treatment. 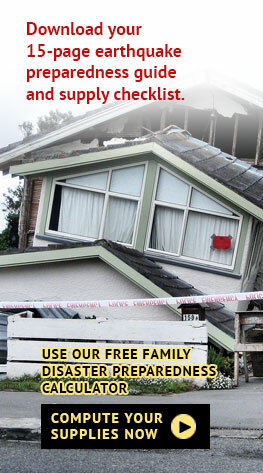 With our disaster first aid kit, you can stabilize shock, burns, fractures and control serious bleeding and wounds. Practical disaster supplies from bulk trauma dressings, arm and leg splints, burn gel, sterile water to paramedic scissors, items that will be necessary with real injuries. 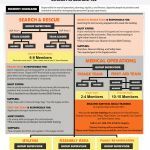 You will have to adjust the number of your search and rescue teams according to the size and complexity of the campus. Teams must consist of a minimum of two persons. Training on how to do light search & rescue is required — You can contact us via email or call 1-888-705-2184 for your school staff training. You may also contact your local Fire Department for information on whether such training is offered in your community. 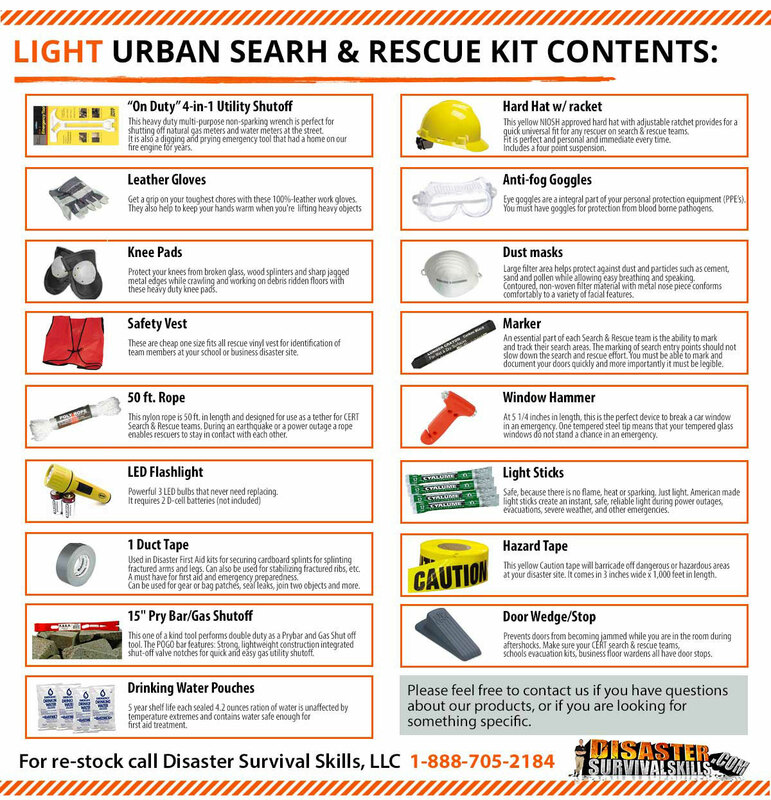 All above items are included in our Search & Rescue Kit – Team Leader Bag. We also provide a Triage and Incident Command Kit on Wheels that includes a 37 piece Incident Command and Triage package that comes in a wheeled duffle bag to enable you to quickly set up and establish Command. Just add your own site maps, forms and you will be up and running. 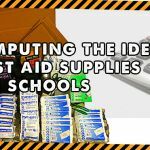 You can find all School Emergency Kit supplies here. Of course, all of the above supplies are nothing if your staff doesn’t know how to use them. So it is essential to get your staff prepared with proper training. 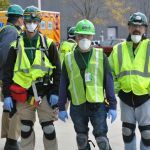 Disaster Training classes provide confidence and reduce panic in the staff in knowing they are doing the right thing which directly affects their ability to save lives. 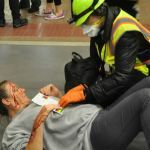 Read more about Disaster Survival Skills Training for Schools here.